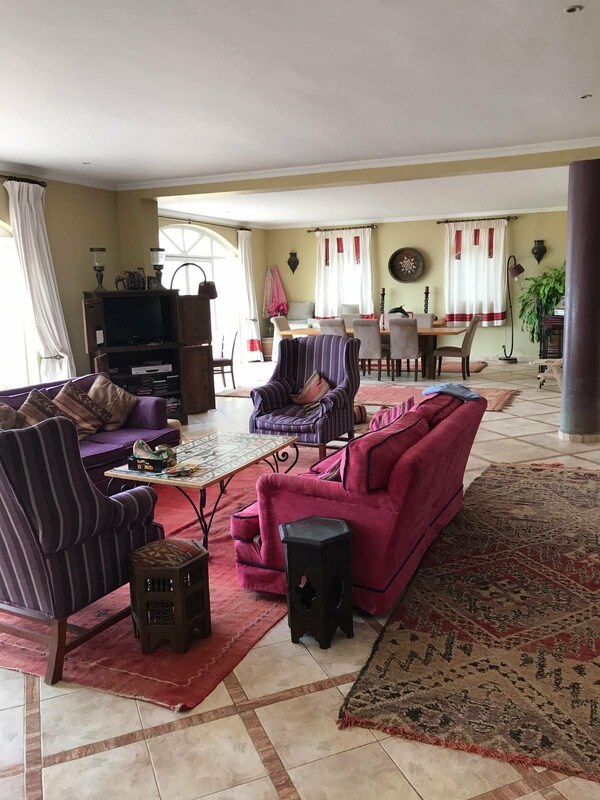 "The Sound of the Sea"
This stunning private Moroccan villa is situated below the foothills of anti Atlas Mountains in Southern Morocco facing out to the Atlantic sea. "Fantastic place - well furnished, very comfortable and the perfect retreat from the city. Great combination of spaciousness and cosiness. 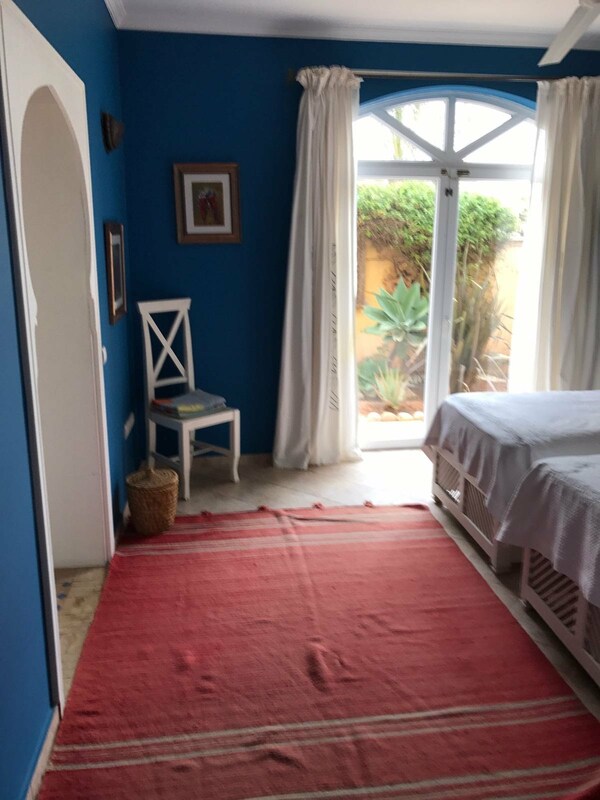 I highly recommend this villa"
"Dear Linda, We just returned home this evening, but I wanted to let you know how much we truly enjoyed staying in your lovely home in Aglou. Nobody wanted to leave. My most sincere thanks for your patient replies to my many questions and for making sure that our stay was comfortable. 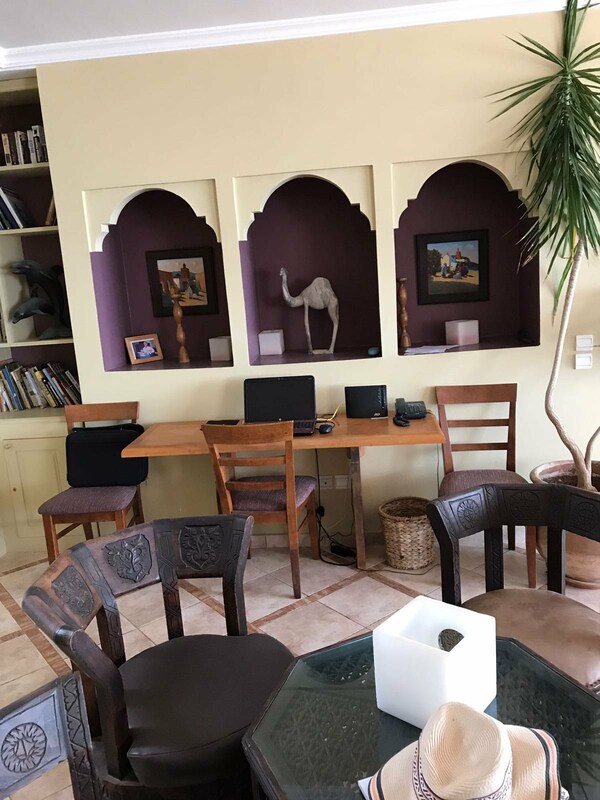 My husband and I have worked for over two decades in sub-Saharan Africa (and thus have an inkling about the million things that can possibly go wrong! ), but found this small corner of Morocco both enchanting and vastly different from any place that we know. We'll happily visit again (that is, of course, if it is available) and will recommend the house to friends as well. "An absolutely fabulous villa. The whole family just loved the pool, the beach and all the surrounding area. The perfect place to holiday in luxury and to explore a fascinating country. Will definitely return and highly recommend it." 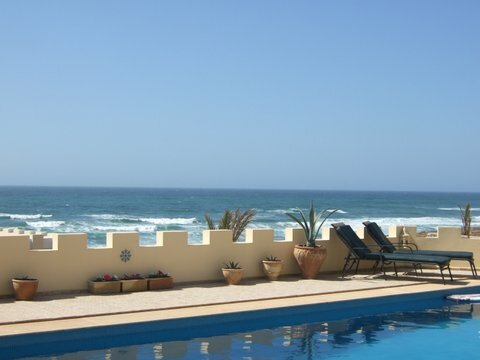 "An absolutely stunning villa, great pool and so close to sea, it's amazing. It's a place to just get away from everything and relax. 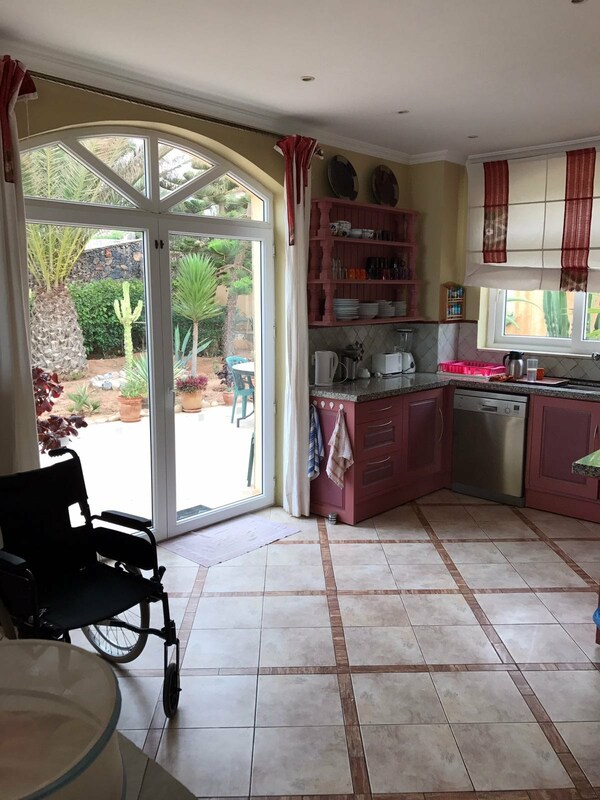 The villa itself feels incredibly spacious so there's never a sense of being crowded. It's just simply beautiful and luxurious in a very natural way. The surrounding area is quiet and rural, it's not touristy. Hiring a car is a good way of exploring here, although taxi's can always be arranged. Highly recommended."